S.F.D: Open Letter to Kim Savage and After the Woods - Next Page Please! Hello and welcome to the second mission of Sassy's Fangirl Debuts! We are a group of agents working together to promote wonderful debut authors. Yesterday, I gave you all a summary of what we were doing. So now we shall get into our first mission, an open letter to a debut author! I have been assigned to write a letter to Kim Savage, who is the author of After the Woods! An emotionally-charged debut novel about the deadly lies hidden beneath a destructive friendship. One year ago, two best friends, Liv and Julia, were attacked in the woods by a paroled predator. In an attempt to save Liv, Julia was left behind while Liv escaped. After spending three days in the woods trying to escape her abductor, Julia was rescued. She only remembers what happened in the woods in terrifying flashbacks. Now, on the eve of the anniversary of the attack, a body is found in the woods. This discovery rips open fresh wounds between the two girls as the truth about Liv's role in the kidnapping is revealed. First of all, huge congrats on landing a publishing deal on your story. (I mean if a publisher didn’t pick your story up then there would obviously be SOMETHING wrong with them!) 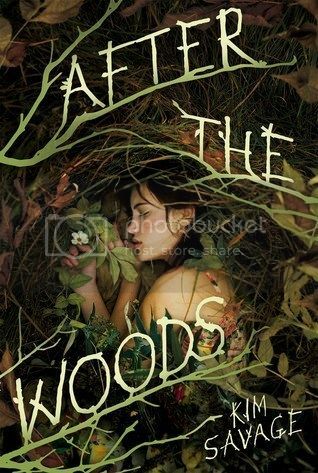 When I first read the synopsis for After the Woods, I immediately knew that this was a book I was going to want to read. Not only does it seem super mysterious, I am excited for how you handle the plot. Then there are also these two main characters, Liv and Julia. I can tell they were very close people and I am curious to see how that “destructive relationship” that was mentioned in the synopsis will affect the book. One thing I am expecting of this book is the plot to kind of develop as more information about the kidnapping is revealed (I may be wrong!). Those kind of plots are my absolute favorite. It really makes for an exciting read. Not only am I looking forward to all these secrets being revealed and new shocking information being learned, but I am hoping to get more information on what really happened during Julia’s kidnapping! I may love mysteries, but I love them being solved even more. And then there is that one line in the synopsis,”…truth about Liv's role in the kidnapping is revealed” that really left me pushing people for this book. It kind of left me just thinking “WHAT WHAT WHAT WHAT DO YOU MEAN! ?” you know? It obviously has to be super important if it was mentioned the synopsis! And naturally as a curious person, I want to learn more about Liv's role! So excited to be able to read your book Kim! Expecting it to be a twisting, exciting, keep-me-on-my-toes- read! Make sure to check out the other wonderful people also doing this project! So tell me: What are your thoughts on this book and are you excited for the kick off of this project! ?